I love Pinterest. I'll occasionally have a fail, but for the most part, Pinterest has given me so many amazing ideas for recipes, decorating, living the faith, crafts, DIY projects, and more. I could probably give you a hundred or so of my favorite pins! 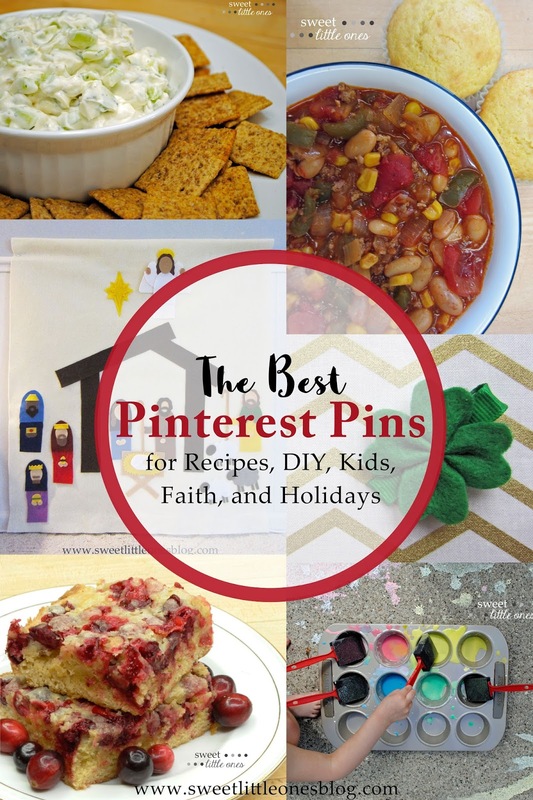 But I narrowed it down to one fave pin for 5 different categories: Recipes, Holiday, Kids, Faith, and DIY Projects. Ok, ok, so I tried to narrow it down. I added in a few sub-categories and had a few ties too! Pinterest is just so awesome - it's hard to choose just one! I found this while specifically looking up a cool and refreshing dip for the summer. It is fabulous. Bonus: It's 'fancy' enough for a wedding or a baby shower, and it's 'hearty' enough for an outdoor barbecue or a game watch with friends. It is perfect for any get-together! This chili is unique and has the perfect amount of spiciness. It tastes amazing. End of story. Bonus: It only uses 1/2 lb. of sausage, so it's a fairly cheap meal to make. 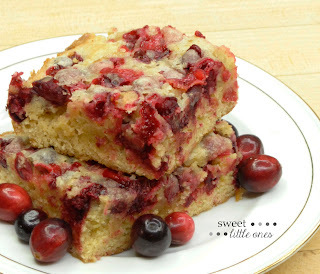 Plus, it freezes very well so I always double the recipe so then we will have one for a later date. 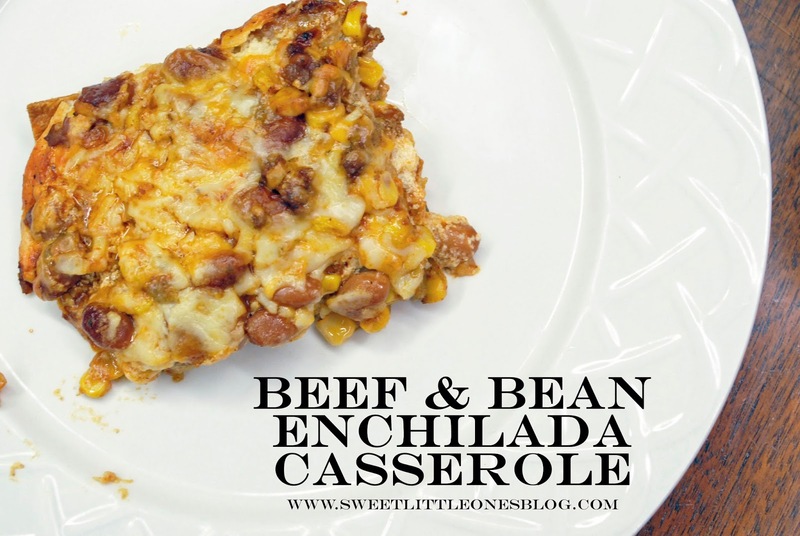 We love Mexican food so this is one of many Mexican recipe pins I've tried. This is by far our family favorite. Bonus: It only uses 1/2 lb. of hamburger (so it's a cheaper meal), but it is still hearty. Also, it can easily be converted to a meatless meal, which is perfect for Fridays for our family. I could never get a hang of flipping pancakes. I always, always burned them. Plus, I was stuck next to the griddle making pancakes while everyone else was eating dinner. 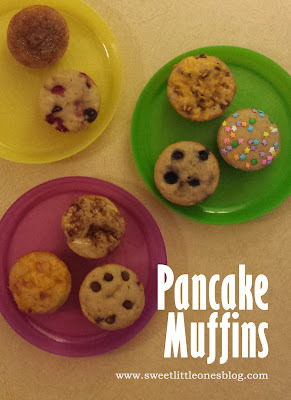 These pancake muffins took care of both of these problems in one easy swoop. 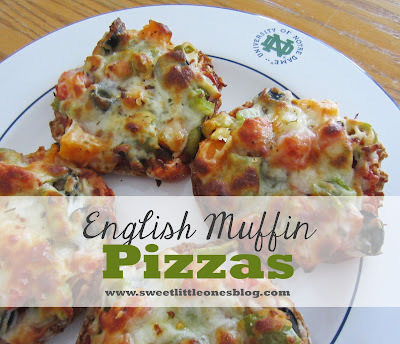 Bonus: They can be frozen, so they are perfect to make ahead for busy days. So easy. So versatile. Everyone in the family loves them. Bonus: They're fun for the whole family to make together. And they're freezable. I'm all about make ahead meals for the busy days. I tried this recipe on a whim. It is hands down the best dessert I've ever made. 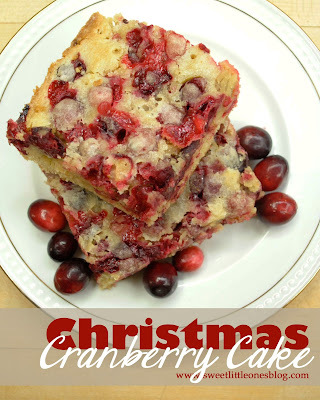 Bonus: It only takes 6 ingredients. 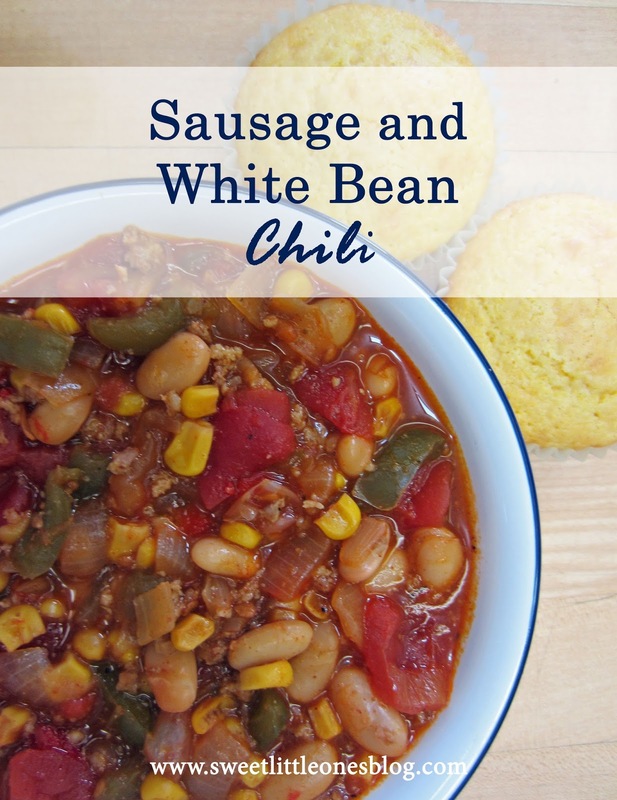 Yes, you read that right - only 6 ingredients! 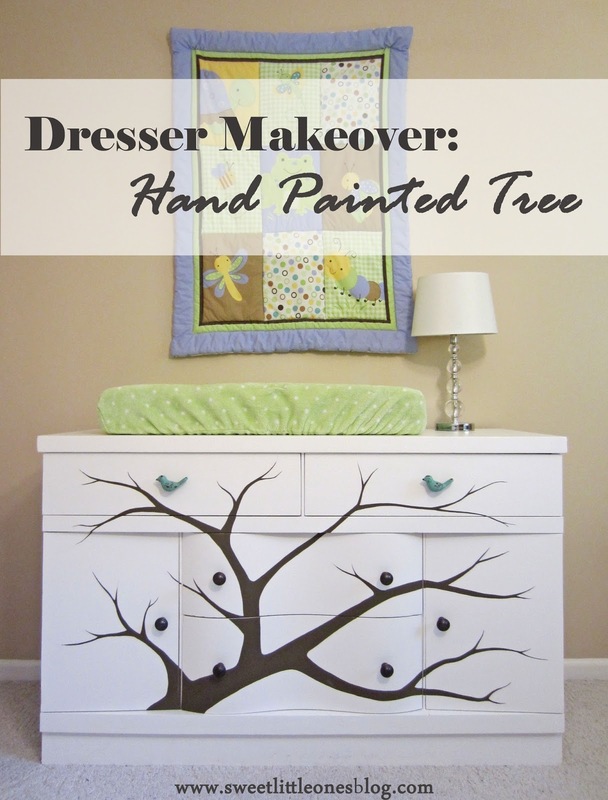 I wanted to paint a tree on our kid's dresser as soon as I saw it on Pinterest. It is so beautiful and so unique! Bonus: It was well worth the time, and it's something the kids (and I) will cherish forever. Several pins came together to give me this idea. Framed display area for the kids' crafts. Mason jars for storage. 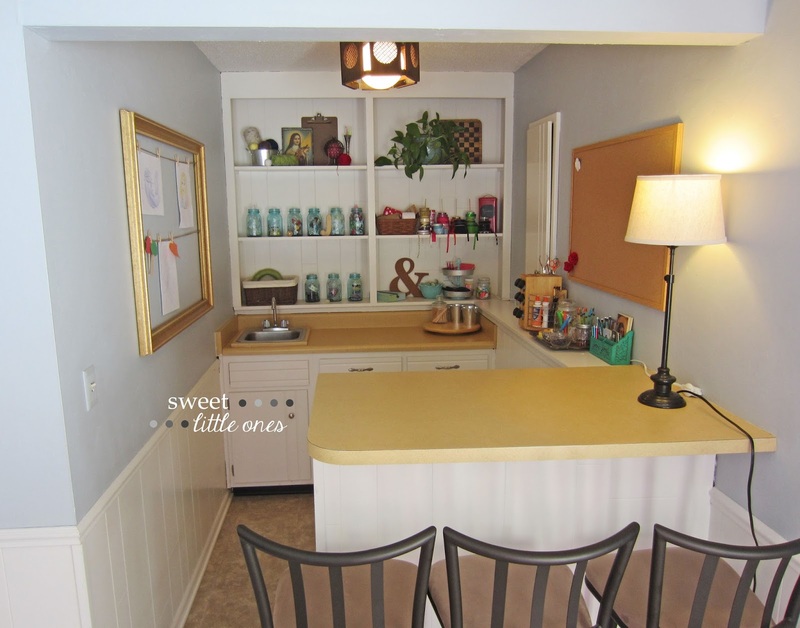 Spice rack turned into storage for craft supplies. And so much more! 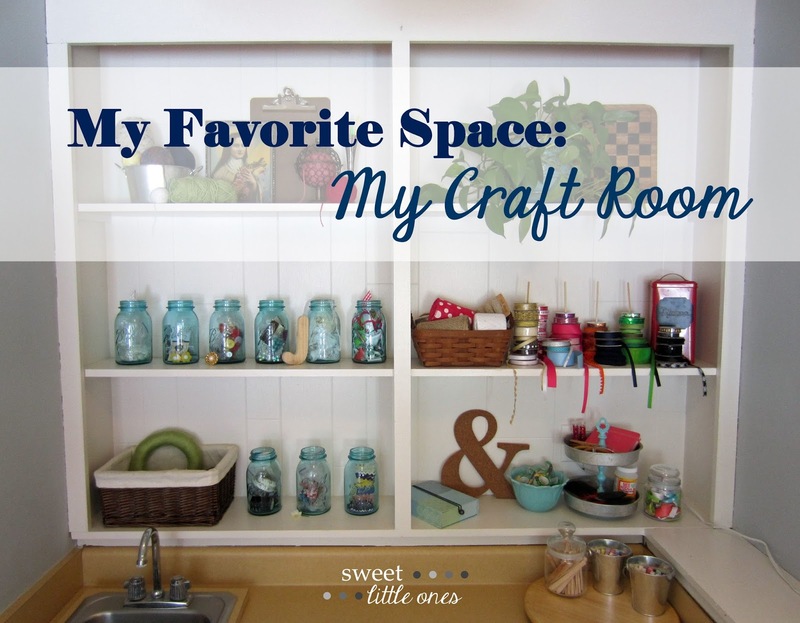 Bonus: It's beautiful and organized and my favorite space in our house. 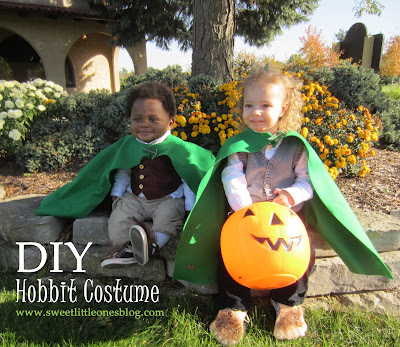 As soon as I saw this pin, I knew this was the perfect Halloween costume for our curly haired kiddos. Bonus: It's a no sew project! And the cloaks are one size fits all (for kids) so they can play dress up with it for years. How cute is this for a little girl?! 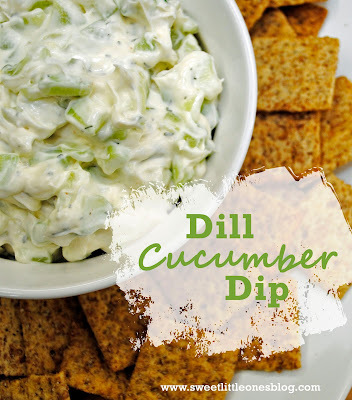 Dainty, cute, and oh-so-easy to make. Bonus: It is incredibly easy to make. 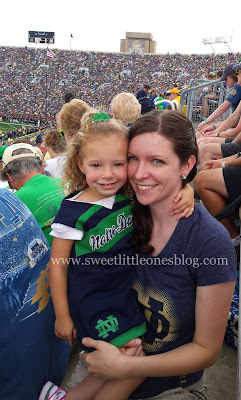 Plus, we're Notre Dame fans so our daughter wears it all year. Go Irish! 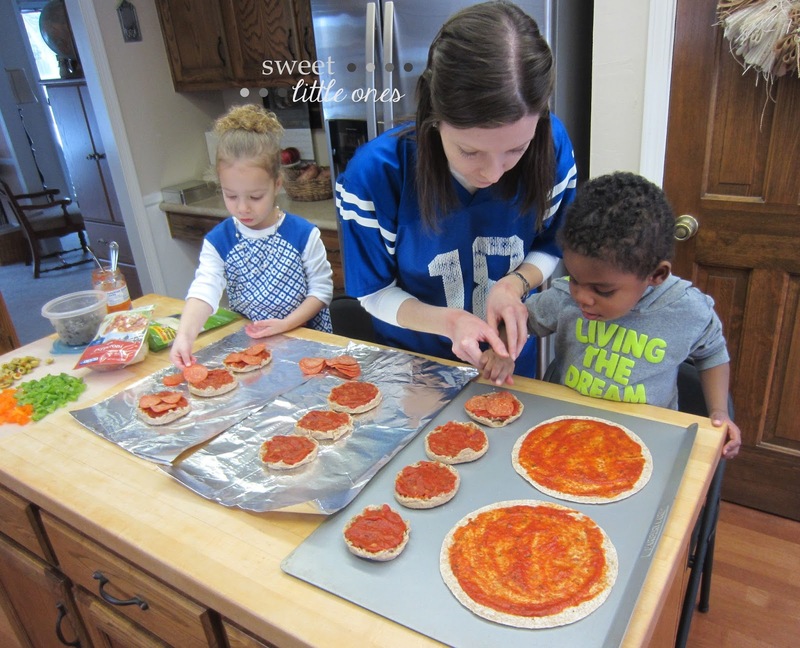 My sister Katie came across this awesome little faith activity for the family. 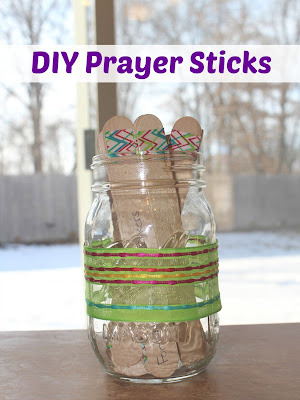 It's a great way to get kids involved in prayer! Bonus: It strengthens your family prayer life. Need I say more?! 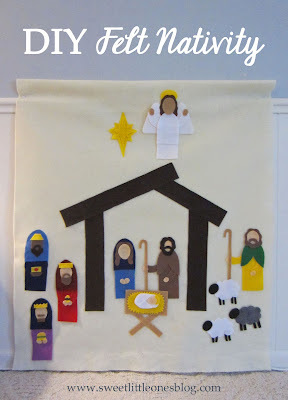 I came across a Felt Nativity Scene when I was looking up ideas for a Felt Christmas Tree, and I fell in love. I had to make it for my kids! So one Christmas, Katie and I had a Pinterest Day and made it together for our little ones. 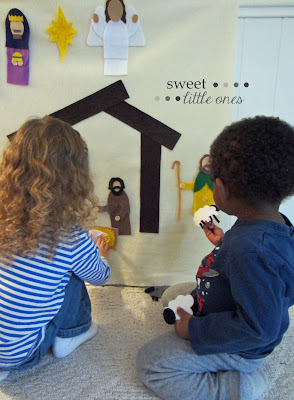 Bonus: It's a fun, hands on way for the kids to learn about the Nativity Story. And something they can play with for years to come. 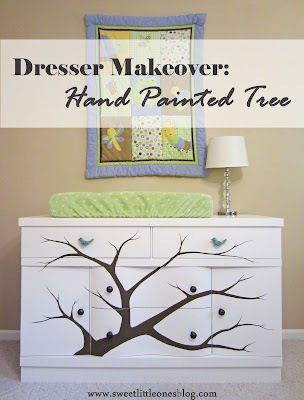 Katie found this one as well and shared it with me - it is pure genius for giving kids a creative outlet when you're stuck inside in the winter! 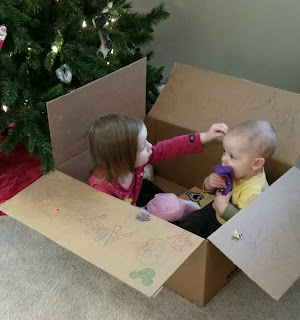 Bonus: The box keeps little ones contained. It entertains the big kids for hours. 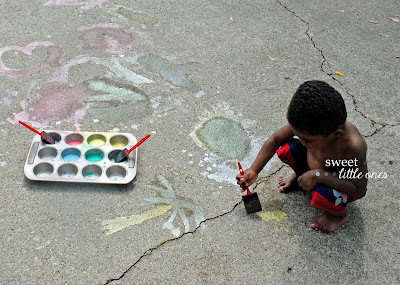 And you can do this activity outside with sidewalk chalk too! 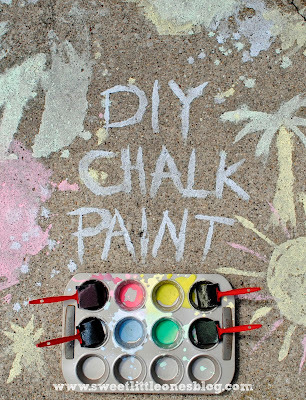 This is so easy to make, and there are tons of sidewalk chalk games and activities that equal hours of fun for the kids! 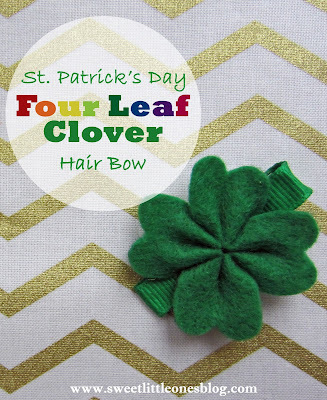 Bonus: It's edible and washable because well, kids put everything in their mouths and they tend to make messes! These are just a few of the awesome pins I've found over the years! So how about you? 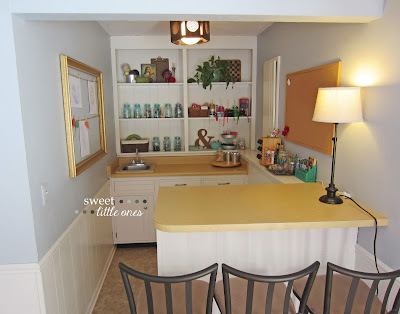 What are your all-time favorite Pinterest successes? especially with Momfessionals' Show and Tell Tuesday: Favorite Pinterest Pins!